The mobile frontier is quickly taking over the business world, which means you need to prepare your company’s phone system for the shift. As more and more of your employees become dependent on their smartphones and cell phones, your company needs to beef up its mobile capabilities. Whether your company still depends solely on its hard line phone system, or it’s already making the mobile switch, your phone system features will likely experience a big change. Call waiting and automated menus aren’t as critical when your employees have smartphones with them wherever they go. By taking a mobile approach to your company’s phone system, you can expect to cut back on hard line features like the ones mentioned above. In addition, because your employees can return calls on the go, the smartphone voicemail feature will likely replace your current message-leaving system. Your company’s phone system provider probably offers a handful of standard calling plans. They probably even bundle your phone with your Internet plan. This is either a convenience or drawback depending on how quickly your company is expanding. Mobility frees your company from standard plans by giving you the option of choosing plans by the minute instead of the month. This allows your company to customize its calling plan and gives you the opportunity to cut back on your hard line usage or cut it out of the budget altogether. As the following article shows, there are a number of ways how a mobile workforce affects your phone system and your company’s hardware usage. A hard line phone system means your office is likely overrun with phone lines and bulky telephones on every desk. This hardware not only takes up valuable office space, it also keeps your employees tethered to their desks. By adopting a mobile phone system, you will rid your office environment of those unsightly desktop phones. In addition, smartphones allow your employees to move freely around the office, which increases productivity. If your company likes the idea of mobile calling, but it’s attached to the hard line phone system mentality, then mobile VoIP might be the answer. 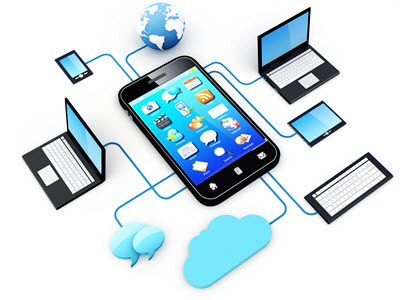 Mobile VoIP combines wire-free Internet phone service with mobile connectivity to give your company the best of both worlds. Going the mobile VoIP route will affect your company in a number of ways. For starters, you’ll need to beef up your Internet bandwidth and find a VoIP provider who offers mobile capabilities. Likewise, you’ll need a software interface that allows you to add mobile users to your VoIP system. These are all hassle-free changes that result in a vastly improved calling system for your company. Just as there are changes for your company’s phone system when introducing mobile phones, there’s also a change for your employees. Putting in place mobile phone guidelines will help keep your staff on the same page. Some guidelines you might want to consider are setting rules for company cell phone and smartphone usage outside of the office. In addition, there are security risks involved with company cell phones, so you’ll want to make sure your employees keep their devices password protected and in their possession at all times. It’s plain to see that taking a mobile approach to your company’s phone system will have a positive impact on the way your employees place calls.